Poplar Grove Winery has named Ingo Grady as Estate Director. 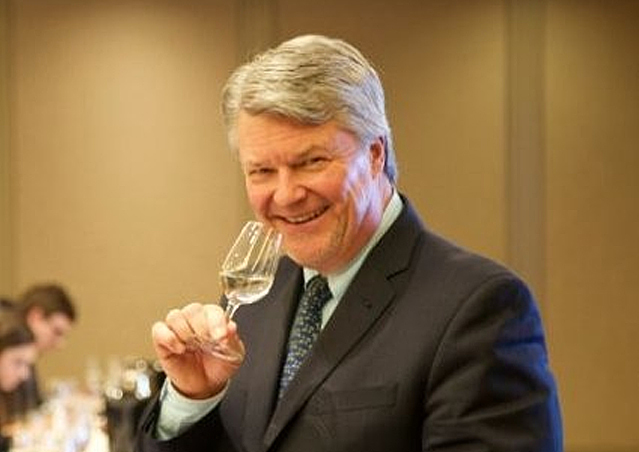 Okanagan-based Poplar Grove Winery has named Ingo Grady as Estate Director. Ingo Grady said, “I’m incredibly honoured and excited to lead and serve this great family business. The Hollers have taken Poplar Grove from a humble idea to one of the most admired wineries in Canada. My new team will harness the family’s passion and commitment as we build on this foundation together.” Poplar Grove Winery has gained a far-reaching reputation for producing quality wines and Ingo’s new role will see him act as global spokesperson for the estate. Great wines are born from the courage to see what is possible. One of the original five wineries on the Naramata Bench, Poplar Grove Winery was founded in 1993. Tony Holler purchased Poplar Grove and became winery president in 2007. Tony’s wife, Barbara, owns and operates the Holler’s 100 acres of estate vineyards, while their sons, Chris, Andrew, Matthew, and Eric, manage the vineyards with a passionate desire to bring the Okanagan’s full potential into each bottle. Poplar Grove is focused on six core wines: Chardonnay, Pinot Gris, Merlot, Cabernet Franc, Syrah and a signature blend called The Legacy. Visit Poplar Grove and experience breathtaking views of the Okanagan Valley while sipping on a selection of these signature wines. Stay for afternoon tapas, lunch or dinner at the Vanilla Pod restaurant. While visiting, join the Poplar Grove Wine Club and their journey to make truly great wines. Wine has been a constant thread and a lifelong comfort to Ingo Grady whose wine career has spanned the early beginnings of the Okanagan wine industry up to the mature and vital wine region it is today. All along, he has been a tireless promoter of the Okanagan appellation, driven by his belief that the valley could yield wines that hold a place among the world’s best. Along the way, Ingo was privileged to have worked with some of the most iconic and gracious vintners. From the early days of Mission Hill, Clos du Val, CedarCreek, Rosemount, J. Lohr, and Frescobaldi, to “hatching” Burrowing Owl and Sandhill while stewarding the wines of Christian Moueix, Chuck Wagner, Hubert Trimbach, just to name a few. Then an extended and gratifying tenure with Mission Hill and the opportunity to launch CheckMate. Today, Ingo is dedicated to Poplar Grove with all the energy and excitement with which he began his wine journey 37-years ago. As Estate Director he provides leadership for all aspects of winemaking, vineyard management, operations, sales, marketing, brand development, and hospitality. Ingo earned a degree from Simon Fraser University and has been a fixture on the Canadian wine scene since 1981. He is a cycling enthusiast, home cook and proud father of Mikela, Spencer and Sean. Ingo and his wife Patti reside in the South Okanagan.